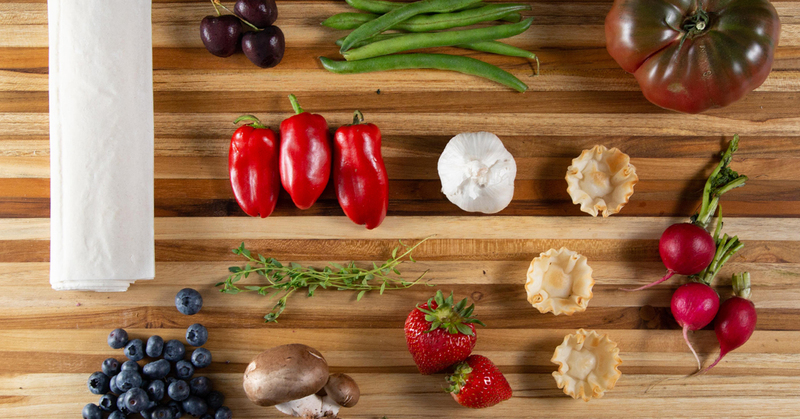 When it comes to getting it right at the grocery store, we’re list people. But at the farmers market, the list goes out the window. Instead, we wander from vendor to vendor, selecting the juiciest fresh fruits, prettiest vegetables and green herbs perfect for dressing up … well, something. We don’t go with a game plan — instead, we pick out what looks best and assume we’ll figure the rest out later. To prevent having to make a second trip to the store, here are a few base recipes to keep in mind as you shop! 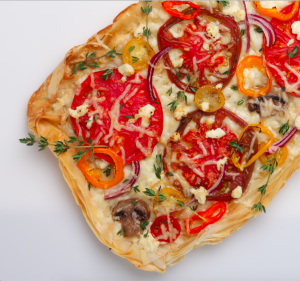 Layers of flaky phyllo create a delicious frame for your farmers market favorites. Go sauce or no sauce, the cheese of your choice, and then pile high with veggies. This heirloom tomato version makes great use of summer produce. ROLL IT IN A STRUDEL. No matter what you bring home from the market, strudels are a versatile canvas on which to create and will showcase your finds. Go with a sweet filling, like apples, plums, or peaches. Or, try a savory mix of Vidalia onions and creamy Gruyere cheese. Once seasoned and sautéed, just about any vegetable (or fruit! ), can be rolled and transformed into crispy, culinary masterpieces created by you. LAYER IT IN A QUICHE. When eggs tangle with grated cheese, fresh greens and just-picked vegetables, good things happen. 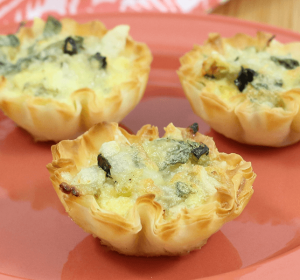 To cut down on prep time and amp up the adorable, make mini-quiche with Athens Phyllo Shells. Zucchini and summer squash are a seasonal place to start, but feel free to get creative. Mushrooms and wilted spinach, tomatoes and salty parmesan, or bits of fresh-made sausage would all be delicious here. Whatever selections you make at the market, these simple recipes can help you make the most of what you bring home. Enjoy! Want more content like this? Sign up for our newsletter and check us out on Pinterest.